There is a propensity in the human condition to stop and reflect every once in a while so that we can, hopefully make better decisions in the future. In doing so, we want to coax as much as possible out of the event in question. 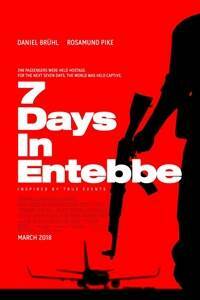 Jose Padilha chose to explore Operation Entebbe in his latest film “7 Days in Entebbe”. The story uses the hijacking of an Air France airliner in 1976 as its background while focusing on the two members of the German Revolutionary Cell as the dramatic prose. In the background is Israel, a country that had a staunch policy of not negotiating with hostages. Gregory Burke’s script frames the story through two sets of opposing characters – Rosamund Pike’s Brigitte Kuhlmann and Daniel Bruhl’s Wilfried Bose as the German revolutionaries as our protagonists and Lior Ashkenazi’s Yitzhak Rabin and Eddie Marsan’s Shimon Peres fighting as our antagonists fighting for the right political reaction while the plane and its hostages were the ‘guests’ of Idi Amin (Nonso Anozie). While the event had been covered by three telefilms previously, this is the first to focus on the two German revolutionaries. Ms. Pike’s and Mr. Bruhl’s performances are admirable, given the smaller scale that this film focuses on. Unfortunately, the way the story flows, their characters are ultimately reduced to pastiches of what could have been truly dramatic cinema. Instead, the film focuses on Mr. Ashkenazi and Mr. Marsan, both who deliver powerhouse performances in their own right. The issue is that because the story chose to focus on this situation, and the actual raid, the drama was reduced to a point where their dialog became a table tennis match: “who can land their point of view into the winning square first.” 42 years later, we see the various results of their operations, which were a success. The story does paint the positive results of the operation in a quickly edited fashion, but it became secondary as the story didn’t know what to do by the time the attack happened. There are two interesting aspects in Mr. Padilha’s film that I think need to be stated. The first is his use of mimes in brilliantly colored set. The operatic and balletic use of this structure is meant to wordlessly convey the actions in the film; to give it a grander scale. The interpretation was not lost on this reviewer, but it doesn’t functionally fit the film’s narrative either. 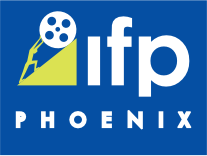 The second is the closing moments of the film where the title cards outline the continuing effects on the world stage that this event had and its interconnectedness. I was born a few months before these events happened, so I don’t remember them very well, if at all. What’s interested is that we would choose to make a movie about this subject, especially now, and given that there have been three previous telefilms covering the subject. I give kudos to the cast, their dramatic sides all showed in a film where the story just crushed their ability to rise above their principles.